Register For the Complete Botox Training Class. ->> Sign Up For the Botox Training Class. Even when great Botox instructors come to Australia, the chances of the training location being convenient to you are small. After all, it’s a big country, and most trainers make only one or two stops. Existing training centers can be located hundreds of miles from your practice. But whether you’re located in Sydney, Melbourne or elsewhere in Australia, you can access the best Botox instructor from the convenience and privacy of your own home or office. With online Botox training from Dentox, training you can trust from the world’s leader in Botox training comes to you. Dr. Howard Katz, the creator of interactive online Botox training and an inventor and innovator whose name is actually on the Botox patent application, is the lead instructor and founder of Dentox. When you train with his online training brand, you learn in a unique format from the best. So how can you learn Botox online? Those with injection experience will find Botox injection very easy to do. To prove your mastery of the techniques covered in the interactive online seminar, you simply show Dr. Katz photos of your injection technique using the provided foam head. He’ll tell you if your technique needs correction before you get your Botox certification. What could be simpler? Dr. Katz teaches the use of Botox for both cosmetic purposes and therapeutic purposes — like for treating TMD, for example. Relaxing of the jaw muscle for neck and facial pain relief is also covered. In many cases, running a Botox clinic is very easy because patients pay out of pocket at the time of service, so billing isn’t necessary. And there’s no bad debt to collect. Perhaps most of your clients who turn to you for Botox injections won’t ask where or how you were trained. But those who ask about how you learned cosmetic and therapeutic Botox injection techniques will be excited to know that you learned from the best. While one of those traveling trainers may stop near you in Melbourne or Sydney eventually, why wait and hope when you can get the training you need right away — from the very best? For more than 35 years, Dr. Howard Katz has been involved in private practice patient care and instruction, and you can benefit directly from his knowledge and expertise in an innovative way when you sign up for Dentox online Botox training. Plus, your staff can watch and listen in as well, enhancing the value of the course. And you can go back to review a recording of your live seminar anytime. Thorough training from the best instructor in the most convenient manner just makes sense. If it sounds too good to be true, don’t worry. Dr. Katz will prove himself to you, and the many advantages of offering Botox to your clients will soon prove lucrative and beneficial. Register here for the Botox Training Program. -> The Full Botox Training Program. The Complete Botox Training Course. Register for the full Botox Training Program. Many dentists are wondering whether to incorporate dermal filler procedures into their dental practice, and are curious whether the profit that stands to be gained will actually compensate for the costs involved in offering these procedures. The answer is pretty straightforward: the profit more than adequately compensates for any costs required to practice dermal fillings, and as a matter of fact, just ten treatments will already cover the $4,900 cost of the formal training required for practicing dermal fillings. As for the continuing costs involved in continually offering these treatments, most of these costs are for the material used as dermal fillers, and for the equipment used to administer them. Any other costs are only with regard to general dental equipment, as well as with regard to accordingly updating the emergency medical kits required by law of dentists. The most commonly used material for the administering of dermal fillers is botulinum toxin. 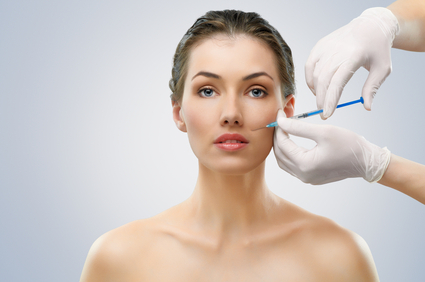 The most widely known producer of botulinum toxin is Botox. One Botox unit of botulinum toxin costs $5.65, and as such, a vial containing a hundred units of botulinum toxin would cost $565. A standard dermal filler procedure would require one case of forty to fifty units of botulinum toxin, and if administered appropriately and expertly, would only take around five minutes. Patients would generally pay ten to fifteen dollars for a single unit, and as such, a single treatment would cost anywhere from four hundred to nine hundred dollars. Other producers of botulinum toxin are Dystore and Xeomen, and although Dystore costs the same as Botox, Xeomen costs considerably less, as a single unit costs only $4.35, and a vial containing one hundred units would cost $435. Botulinum toxin is not the only substance used for dermal fillers, however. Voluma, Belotero Balance, Restylane, and Juvederm Ultra XC all utilize an acid based hyaluronic material, while Radiesse uses a calcium based hydroxyapatite substance. These alternatives are administered through syringes, and a single syringe that contains one ml of dermal filler would cost anywhere between two hundred and ninety five dollars to four hundred dollars per syringe. The patient would generally pay double to triple the cost of the dermal filler, and treatment in this case would generally take only ten to fifteen minutes. All other equipment required for the administering of dermal fillers are those that would already be found in all dental practices including gauzes and gloves. Although syringes are also required for botulinum toxin dermal fillers, most botulinum packages already come equipped with a pre-packaged disposable and sterile syringe. If dentists are interested in a more sophisticated and customized syringe, Comfortex syringes are 31-gauged, hold up to .3-.5 ml of material, and only cost twenty four cents per a single syringe. All in all, other dental equipment required for dermal fillers besides for the fillers themselves would only amount to a few dollars at most. Obviously, dentists must always have an up to date medical kit in accordance to the specific procedures that they are offering, so that they will be prepared in the case of a possible complication. There are basically three additions that should be made before dentists incorporate dermal filler treatments into their general practice. The most obvious and most common complication prone to arise while administering dermal fillers would be bruising, swelling, and bloating as a result of the injected botulinum toxin. As such, dentists should make sure that their emergency medical kit contains an anti-bruising treatment, such as Arnica, which is a homeopathic agent used for anti-bruising. Another complication that may arise, although it is fairly rare, would be the accidental injection of the dermal filler into the blood vessels. As such, nitroglycerin, which comes in the form of ointments and topical creams, should be added to the emergency medical kit. The last important addition to the medical kit would be hyaluronidase, which would be used in the case of an accidental overdose injection of hyaluronic dermal fillers, such as Voluma and Restylane, as well as others mentioned above. The hyaluronidase will effectively break up the unwanted additional dermal filler. Of course, these additions are all besides the standard emergency medical kits that dentists are required to have. And to ensure that there is always an appropriate response available in case of any complication, dentists should sign themselves up for an auto-renewal plan, so that they always have the latest and up to date medical equipment in their emergency medical kits. All in all, integrating dermal filler treatments into one’s dental practice is a extremely wise investment, and will certainly pay itself off financially. Many dentists ask different questions about Botox and dermal fillers. The most common question asked is the impact of their use in a clinical perspective as well as in a practice management view. This article brings out the many clinical applications of Botox such as dental aesthetics, gummy smiles, facial aesthetics, TMJ, trigger point therapy, bruxism, dental sleep medicine and orofacial pain. Dermal fillers have a wide range of applications in the treatment of smile lines, gummy smiles, lip lines, smile design and black triangles. Botox and lidocaine enhances trigger-point therapy, which is very vital in the treatment of orofacial pain and TMJ. This ensures that pain in the patients is eliminated during the therapy. Dental sleep medicine can be mixed with bruxism therapy to produce optimum dental solution. This gives the dentists an opportunity to obtain a successful long term prognosis in different dental cases by objectively scrutiny bruxism and carefully treating it. Demonstration of the clinical aspects of these therapies is very simple and easy. This is done through case studies, monitoring data and taking photographs. Dermal fillers and Botox provide a variety of services as well as better esthetic and therapeutic outcomes for patients than it used to in the past. However, we should ask ourselves the productivity and profitability of these services to dental practices. They should only be used if they are profitable and productive. Actually dental professionals are impressed and motivated by the clinical applications of dermal fillers and Botox. However, many people ask several questions on these services. They want to know the fees required to get these therapies. How much should be charged for Botox, trigger points, dermal fillers etc. Many dentists are always curious to know the productivity and profitability of these services. They are also eager to know the procedures involved in these practices. Most dentists invest in new technology, capital equipment and new techniques, but they collapse when they realize poor production and profit. Therefore, dentists should analyses the benefits of these practices well before investing in them. Over the recent years, many dentists have used dermal fillers, Botox, dental sleep medicine, bruxism monitoring and trigger point therapy and they have given different feedbacks on these practices. A recent survey deduced that many dentists have incorporated all these services in their dental practice. Each of these treatments affects the monthly productivity. We can break out the impacts of these treatments to ensure that dentists make the right decisions. Over the recent years, many dentists have used dermal fillers, Botox, dental sleep medicine, bruxism monitoring and trigger point therapy and they have given different feedbacks on these practices. A recent survey done the American academy of facial aesthetics has deduced that many dentists have incorporated all these services in their dental practice. Each of these treatments affects the monthly productivity. We can break out the impacts of these treatments to ensure that dentists make the right decisions. It is worth noting that the dental professionals who took part in this survey are highly qualified and trained clinicians in the fields of botulinum toxin, dermal fillers, orofacial pain treatment, dental sleep medicine and bruxism monitoring. These professionals have a two years’ experience in these treatments. Most these dental practices do not require laboratory fees or equipment purchase fees. The offices have enough capacity to incorporate the new services without any additional investment such as schedule time and additional treatment rooms. Most dental professionals have adequate time in their work schedules to perform additional procedures tat patients may need. The cost of dermal fillers or botulinum toxin is defined as the difference between the patients’ files and the profitability amount. Some of the results formulated from the practical study have been highlighted below. The mean botulinum toxin treatment took about 10 minutes with the injection time being utmost 5 minutes. The mean patient fee was found to be $1,402 with a net profit or $1,014 being realized. The mean dermal filler treatment took about 18 minutes with the injection time being utmost 11 minutes. The mean patient fee was found to be $1,475 with a net profit of $988 being realized. The mean dermal filler and botulinum toxin combined treatment took about 28 minutes with the injection time being utmost 19 minutes. The mean patient fee was found to be $2,889 with a net profit of $2,132. The mean trigger point treatment took about 12 minutes with an injection time of utmost 7 minutes. The patient fee was found to be $150 in the case where lidocaine was used. If botulinu was used the patient fee was $60 for a trigger point injection. A $13 per unit cost of the toxin was added. In oral appliance therapy and bruxism monitoring, the treatment is quite different from the other treatments as it requires a low capital equipment investment. However, it will be able to provide the necessary objective data required for the determination of proper treatment plan. While determining the profitability, a laboratory fee should be considered. The mean rental fee was found to be $299 per month. The mean laboratory fees for a bruxism appliance were $119 and for a mandibular appliance it was $381. The average treatment time was about 40 minutes that included the seating and impression appointments. To ensure you realize high productivity and profitability you should think rationally and come up with wise investment decisions. You should put into consideration your patients desires and needs and the extent of your market before investing in a new dental practice. Certainly taking our Botox Training and Dermal Fillers programs is a great first step.